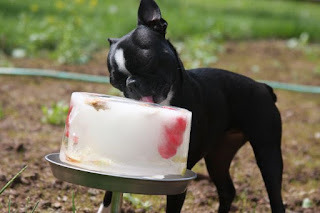 In continuing my Pupsicle series, I'd like to share this recipe for Strawberry Banana Popsicles I found at Doggy Dessert Chef (below photo). I don't usually give my dogs rawhide, so I would sub the rawhide stick with another hard treat, like chicken Thinkers from Plato which are made in U.S.A. 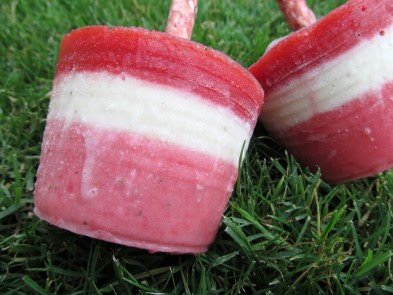 I love that these pupsicles have yogurt in them. 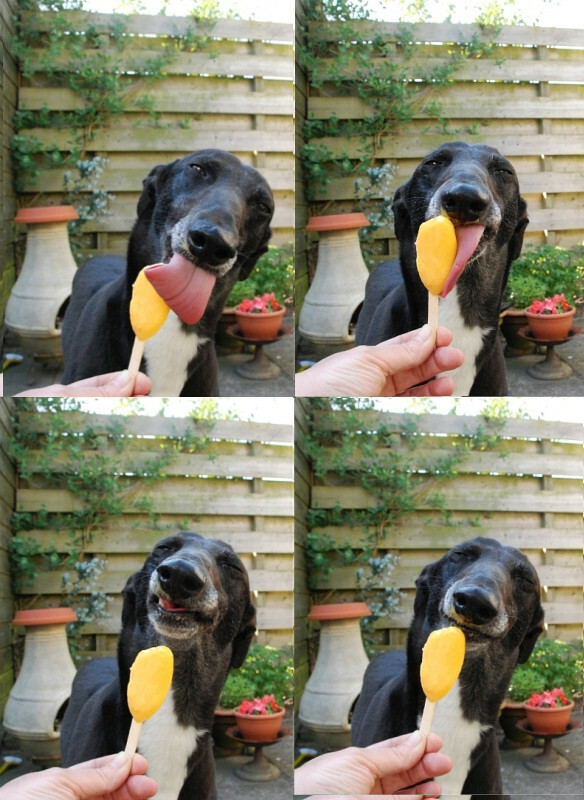 I regularly give my dogs yogurt since it's great for them. They benefit from the probiotics just like we do (read more on PetMD). Click here for recipe. Hope your doggy enjoys!